Acura of Limerick is humbled to be your preferred Acura dealer serving Chester Springs, PA. We offer a wide inventory of new Acura cars, and we take great pride in helping you find the model of your dreams. We have everything you’re looking for, including sedans, SUVs, pre-owned cars, and more! Acura of Limerick is dedicated not only to helping our customers find their perfect vehicle, but also to keeping it running at its best with our Acura service department. Our staff is comprised of the best factory-trained technicians who are experts in all things Acura. This includes brakes, a very common maintenance item. 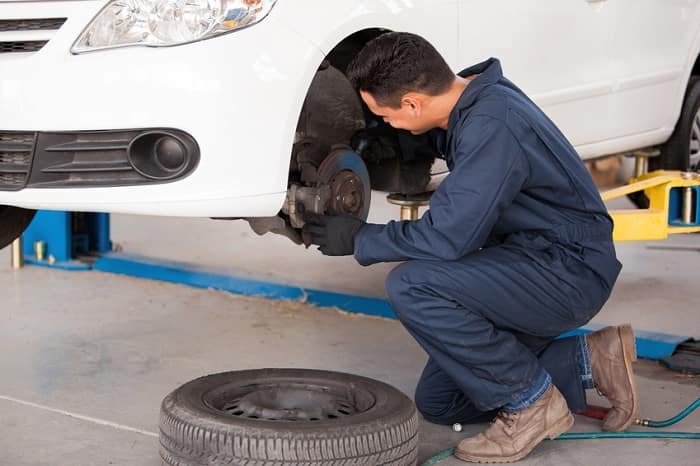 Knowing when your brakes might need attention is the first step in getting them taken care of. One symptom is any type of loud or irregular noises that emanate from around the wheels. Another sign is when you have to press your brake pedal down harder than you used to. Shaking and vibrating when braking is another common sign, and if any of these fit the description of your vehicle, you’ll certainly want to bring it in to our Acura service center so we can take a look! Time is of the essence with brake repair as delays can cause further, more expensive damage to your vehicle and, of course, significant safety concerns. There’s no substitute for expertise, and that’s why we advise you to use the service center here at Acura of Limerick. In doing so, you can count on only the best technicians, transparent work, genuine parts, and competitive pricing. Your vehicle deserves the best, and so do you! We make the entire process simple, easy, and convenient, and your satisfaction is our number one priority. Be sure to check out our service specials near King of Prussia, PA as well for additional incentives! Acura of Limerick wants to be your go-to Acura car dealership near Philadelphia, and we’ll go above and beyond to deliver the best car buying experience you’ve had. Our commitment extends long beyond your first visit, and we look forward to fostering a long-lasting relationship together. Stop by our nearby location at 77 Autopark Blvd in Limerick, PA today, and let us show you what we’re all about.